A brand new trailer for The Curse of La Llorona is here to scary up your Monday. This is the latest from producer James Wan, who is coming fresh off of directing Aquaman. Though, this is much more in line with his horror roots. The man behind The Conjuring, Insidious and Saw franchises has become a true force in the horror landscape and this looks to be right in line with what he does best. This particular tale brings to life the Weeping Woman, who is a figure pulled right from the pages of Mexican folklore. If the final product is anything like this trailer, horror fans may well be in for a treat in just a couple of months. The trailer starts off with a tragic accident that involves a mother losing her children. But things are not so simple as they seem, we soon come to learn. A tale is told of La Llorona, who is now on the hunt for some new kids. We get one particularly creepy shot of her before things devolve into a true haunted house nightmare. It’s then one unlucky family and a priest trying to fight off this evil being, with plenty of jump scares and horrific imagery to go around. Even though this isn’t part of The Conjuring universe, it’s certainly putting off those vibes in the best kind of way. The Curse of La Llorona takes place In 1970s Los Angeles, where the titular figure La Llorona is stalking the night, and the children. After ignoring the strange and frightening warning of a troubled mother suspected of child endangerment, a social worker and her young children are brought into a terrifying supernatural realm. Their only hope of surviving the deadly wrath of La Llorona lies in the hands of a disillusioned priest and the practices he employs to keep evil at bay. Michael Chaves is making his feature directorial debut, working from a script by Mikki Daughtry and Tobias Iaconis. Even though the movie hasn’t screened yet, the studio is apparently very happy with the result, as they’ve tapped Chaves to direct The Conjuring 3, taking over for James Wan, who has become too busy with other projects to stay in the director’s chair for that series. But that shows a major vote of confidence on Warner Bros.’ part. The cast includes Linda Cardellini, Patricia Velasquez, Sean Patrick Thomas, Raymond Cruz, Jaynee-Lynne Kinchen and Roman Christou. It was recently announced that the movie will be making its debut at SXSW in Austin, Texas next month. Again, that seems to indicate confidence by the studio. Not to mention that Warner Bros. and New Line have a great track record when it comes to horror over the last handful of years. 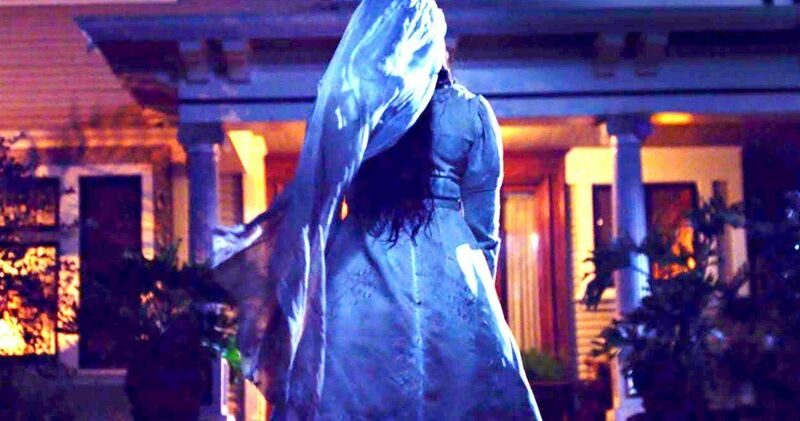 The Curse of La Llorona is scheduled to hit theaters on April 19. Be sure to check out the brand new trailer from the Warner Bros. Pictures YouTube channel below. Check out our picture gallery from the floor of Star Wars Celebration 2019!